A FORMER solicitor has appeared in court charged with stealing €2.8m in client funds from his family's law firm. Ruairi O Ceallaigh (42) was arrested and charged with seven counts of misappropriating the money over a four-year period. He is facing jury trial for the alleged offences. Judge Patricia McNamara granted him bail at Dublin District Court yesterday and adjourned the case for the preparation of a book of evidence. Mr O Ceallaigh, with an address at Collegeland, Summerhill, Co Meath, is charged with dishonestly appropriating seven aggregate sums of money between €75,000 and €1.5m, the property of Sean O Ceallaigh and Co, on dates between July 2006 and May 2010. The sums relate to the estate of one person and client accounts of another six and the charges are all under the Theft and Fraud Offences Act. Det Sgt Paschal Walsh of the Garda Bureau of Fraud Investigation told the court he arrested the defendant at Chancery Street at 9.35am yesterday. He was brought to the Bridewell garda station where he was charged on the seven counts at 10.25am. Det Sgt Walsh said the accused made no comment when the charges were put to him. The court heard the DPP was directing trial on indictment. Defence solicitor Michael Hanahoe said he was consenting to a "long-ish" remand and the gardai were not objecting to bail. 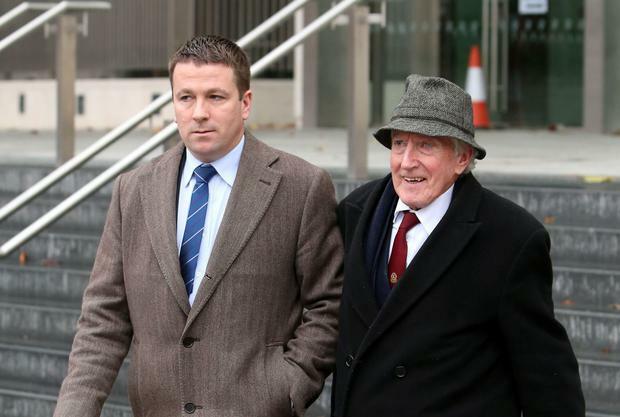 There was also no objection to the accused's father Sean O Ceallaigh standing as an independent surety. Judge McNamara granted bail in the accused's own bond of €200. Sean O Ceallaigh then took the stand to say he understood his obligations in providing an independent surety in the sum of €5,000. No cash lodgements were required and no other bail conditions were sought. Det Sgt Walsh confirmed to the judge that he was satisfied with these terms. The judge adjourned the case to January 16. The defendant, wearing a blue-grey suit, light blue shirt and navy tie did not address the court during the brief hearing. Ruairi O Ceallaigh was partner in the highly respected Dublin law firm Sean O Ceallaigh & Co Solicitors with his brother Cormac O Ceallaigh. There is no allegation that Cormac O Ceallaigh or Sean O Ceallaigh were involved in any wrongdoing.